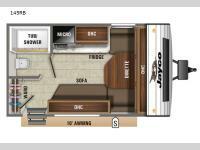 Everything you need to survive on the road is in the Jayco Jay Flight SLX 7 trailer. 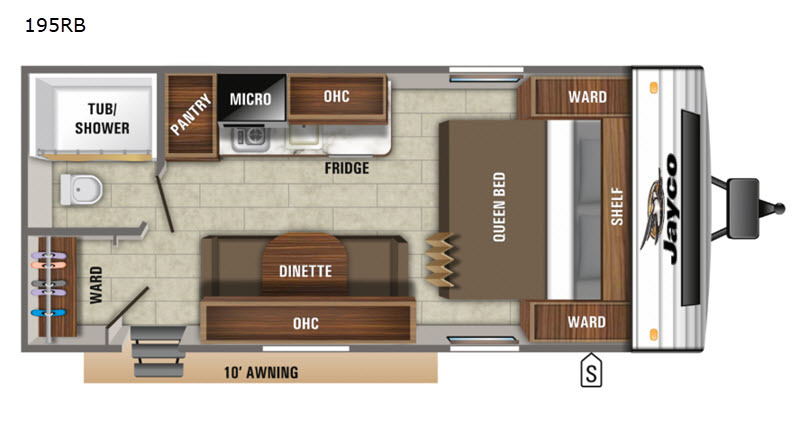 The trailer has a place at the back for a spare tire, and it has a place on the front to house a propane tank. 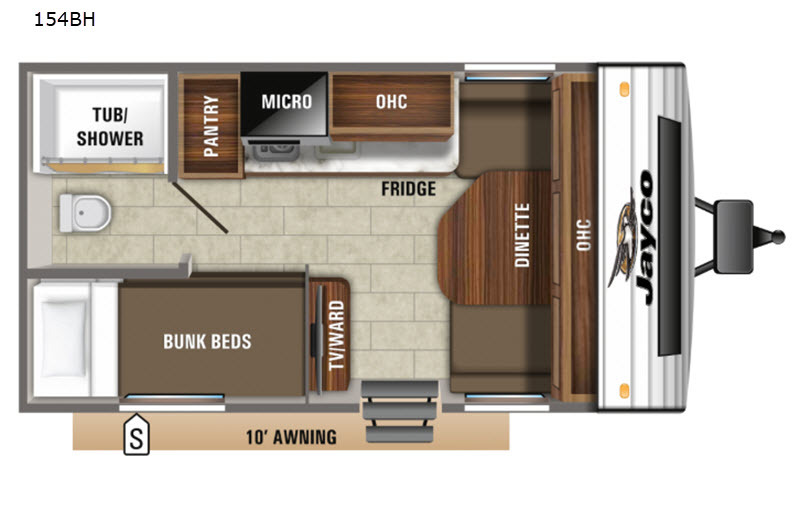 The Jayco Jay Flight SLX7 has an outside wall made of DiFlex II material. 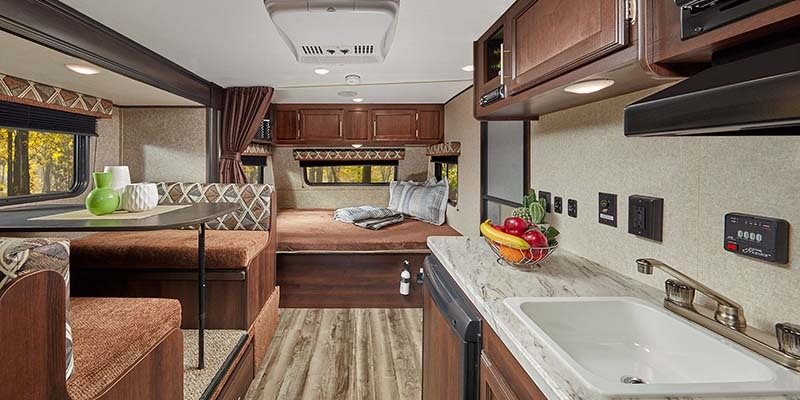 The tires are Goodyear brand and the wheels are made of galvanized steel, ensuring that they are weather resistant and durable. 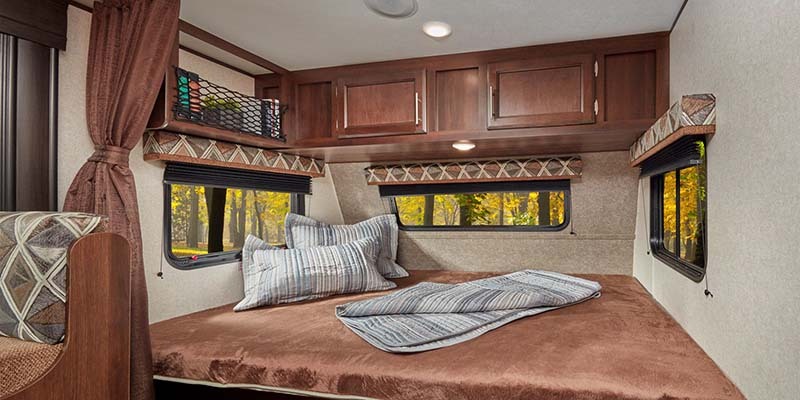 The windows on the trailer are tinted, providing you with much-needed privacy on the road. 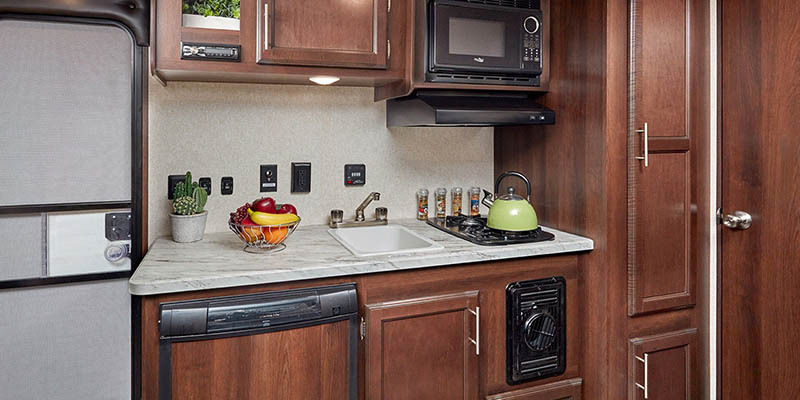 Equipped with plenty of storage space (beautiful cabinets made of chocolate maple) this trailer has plenty of places to store everything you require. 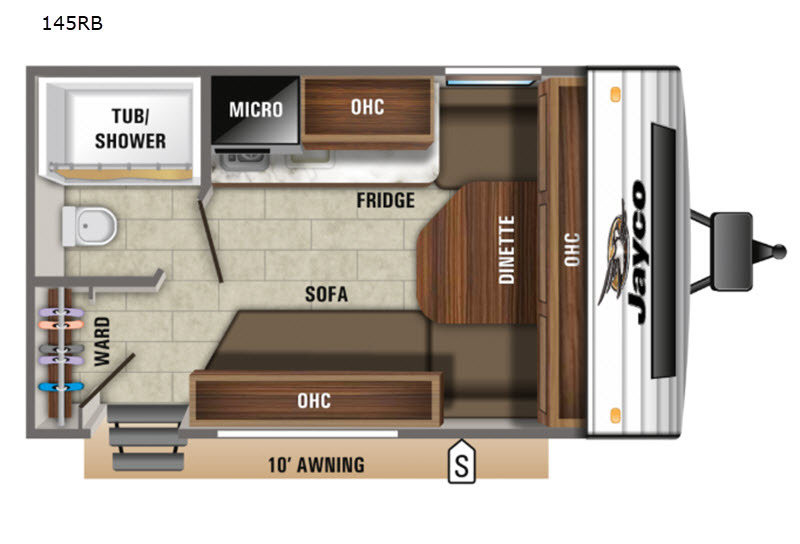 For all your cooking needs, the Jayco Jayc Flight SLX7 comes with a microwave oven, a fridge, and a two eye stove. 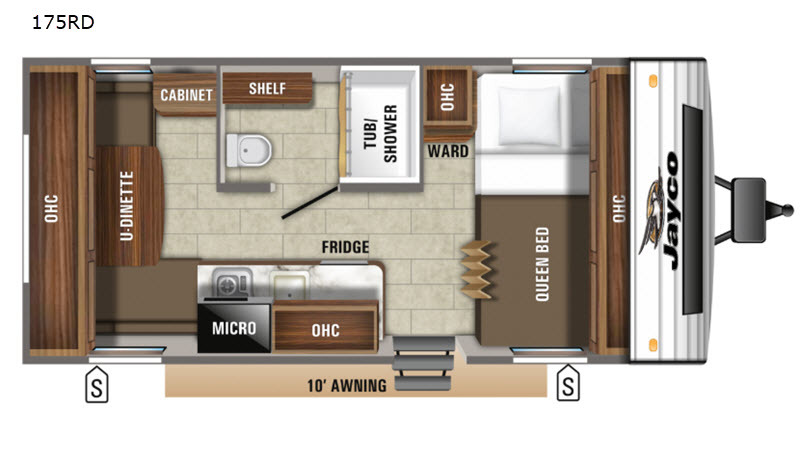 There are also a few storage compartments on the outside walls of the trailer, so you’ll never have to leave anything at home. 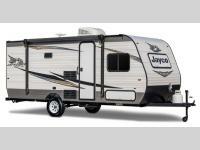 The Jayco Jay Flight SLX7 has a 4-inch mattress and plenty of storage space in the bedroom area. 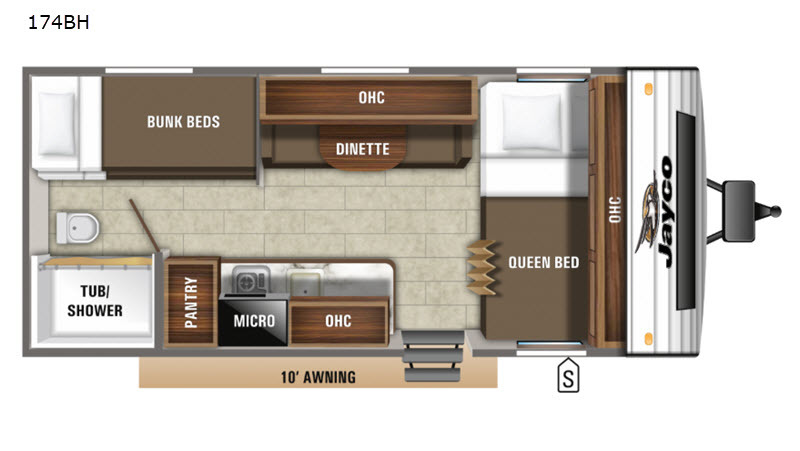 An option for this trailer is a Queen Simmons Mattress. 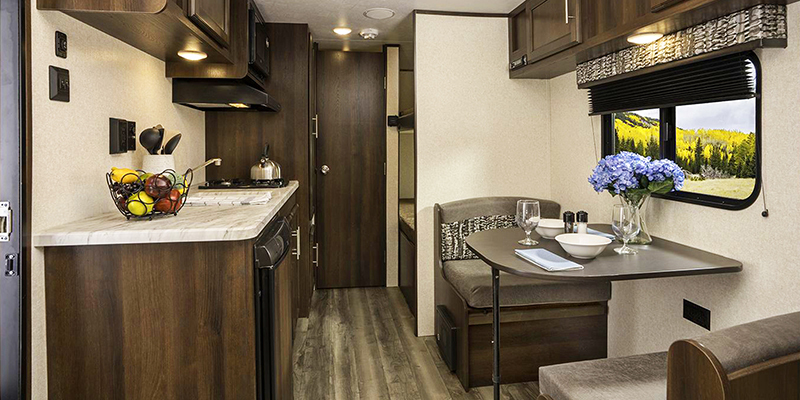 The trailer also comes equipped with a canopy, which has built-in LED lights and speakers. 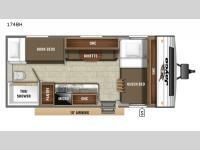 You will imagine yourself lounging out by your trailer before you even drive it off of the Vogt RV Centers lot! 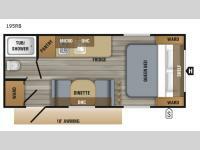 The canopy is electrically-powered, ensuring its always a breeze to set up your outside area. 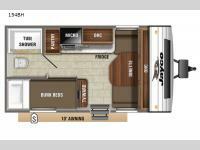 The white body of this trailer isn’t the flashiest item at Vogt RV, but if simplicity and durability are what you are looking for, Jayco achieves just that with this model. 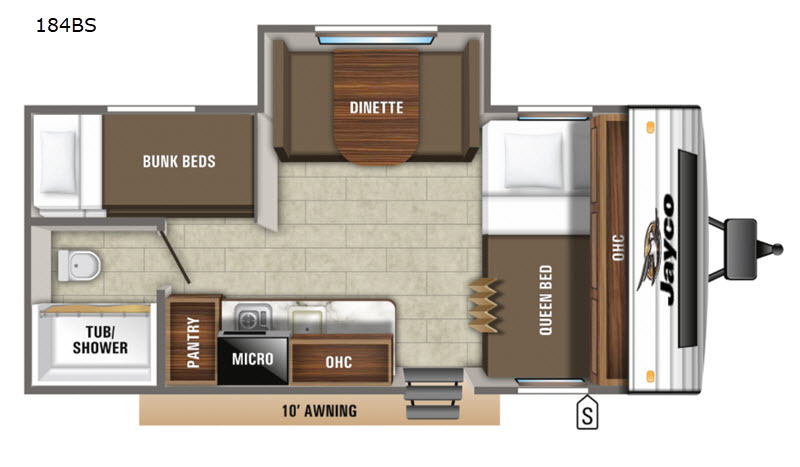 Aside from the white paint job, a few stripes are painted on the sides for a classy minimalist look.